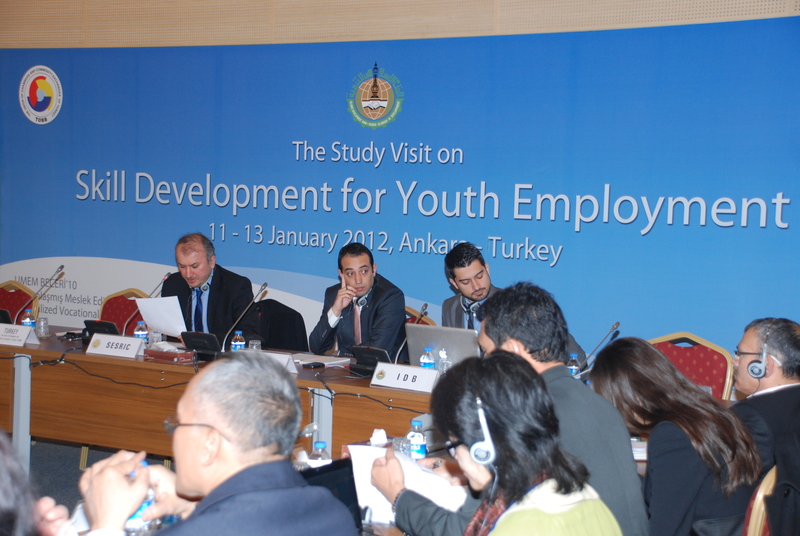 The Study Visit on Skill Development for Youth Employment (SDYE) was the initial phase of the SDYE Project. 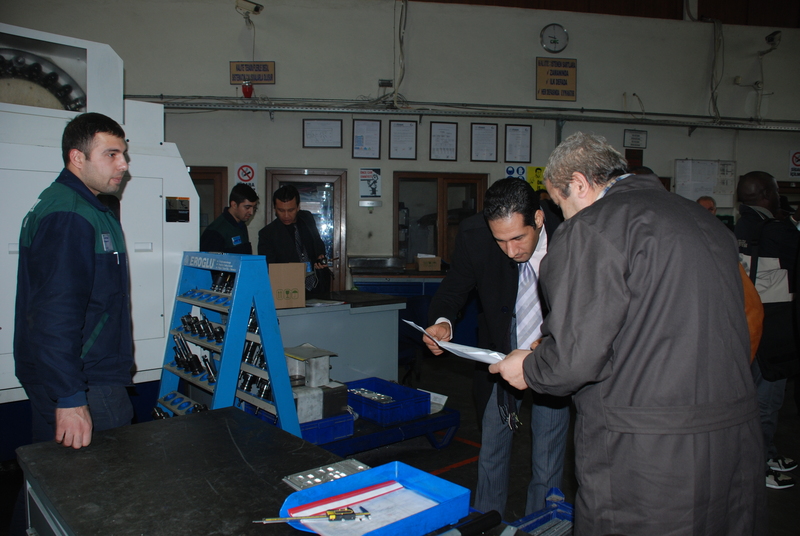 It provided a platform on knowledge and experience sharing among initially selected pilot member countries on the Specialised Vocational Centres Project (UMEM - Skills’ 10) which was jointly developed and implemented by its stakeholders in Turkey, namely the Union of Chambers and Commodity Exchanges of Turkey (TOBB), Vocational and Technical Education Directorate under the Ministry of National Education (MoNE) and Turkish Employment Organization under the Ministry of Labour and Social Security (MoLSS), and TOBB University of Economics and Technology (TOBB - ETU) to provide skills development training to the unemployed youth in line with the demands of the job market of Turkey. In this regard, the SDYE platform provided countries to share their own experiences in order to develop effective models to fight against youth unemployment. Beneficiaries of the programme had a chance to explain their priorities and issues and to discuss possible solutions and adaptation mechanisms for their countries. 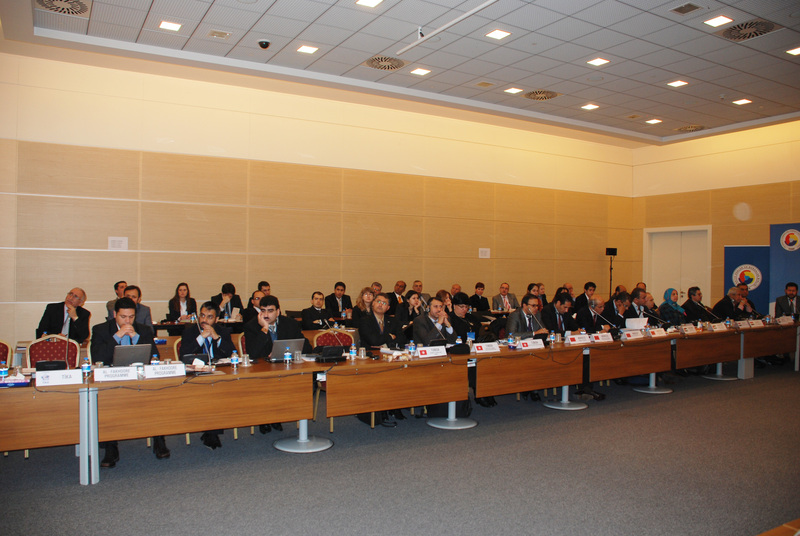 The Study Visit started with the opening speech of Mr. Faik Yavuz, Vice President of TOBB. 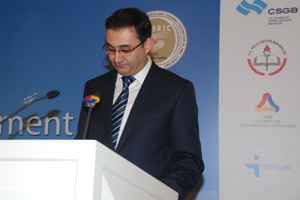 Dr. Ömer Açıkgöz, General Manager, Development and Dissemination of Apprenticeship, Vocational and Technical Education of the Ministry of National Education of the Republic of Turkey made an opening speech and his speech was followed by Mr. Namık Ata, Deputy Undersecretary, Ministry of Labour and Social Security of the Republic of Turkey and Dr. Savaş Alpay, Director General of SESRIC. 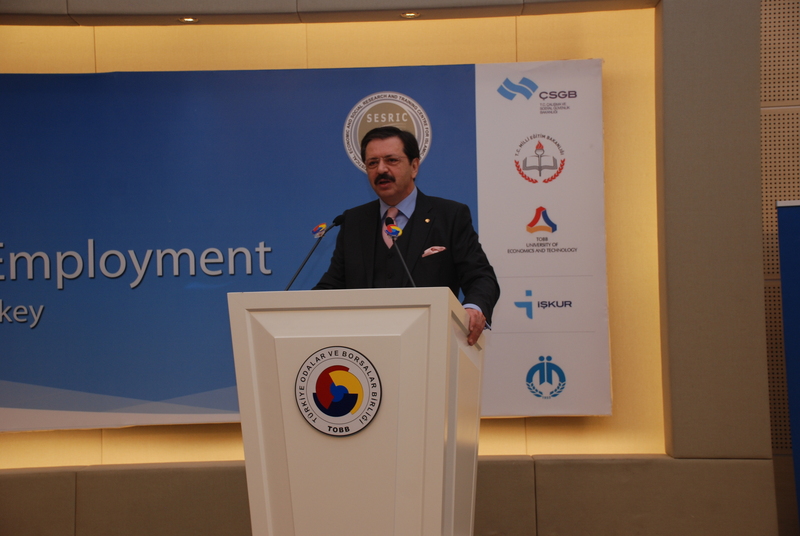 In his augural statement, Dr. Alpay expressed his special thanks to the Islamic Development Bank (IDB) Group, the Union of Chambers and Commodity Exchanges of Turkey (TOBB) and the Ministry of Education of the Republic of Turkey for taking part in the organization of the workshop. He also expressed his thanks to the delegates for accepting SESRIC’s invitation and designating their time to attend the workshop. In his speech, Dr. Alpay elaborated on the current situation of the various aspects of unemployment in the world and OIC Member Countries. He emphasized that effects of the global financial crisis have been more severe on young people and in OIC Countries the situation of youth unemployment is less promising. He also drew attention on accurate matching between labour market needs and mentioned that available skills are tremendously crucial to adapt rapid changes and to sustain social cohesion, productivity and competitiveness in the labour market. 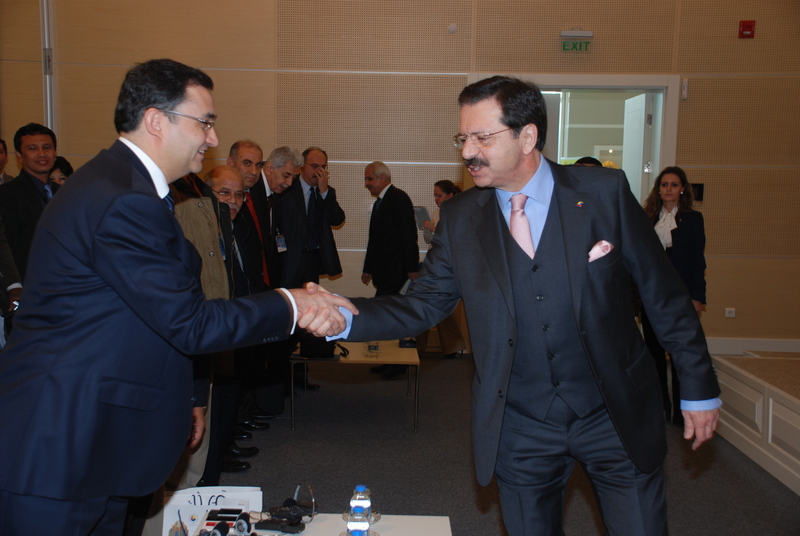 He further shared his belief that the study visit would provide an invaluable platform for transferring the Turkish experience in the Skills’ 10 Project as a best practice for fighting against youth unemployment to other member countries and to discuss further ways of improving the existing programmes of skill development of the Member Countries, besides identifying new potential areas for further collaboration. The Skills’ 10 Project was presented and explained in detail by Dr. Serdar Sayan, Vice Dean, Faculty of Economics of the TOBB - ETU. 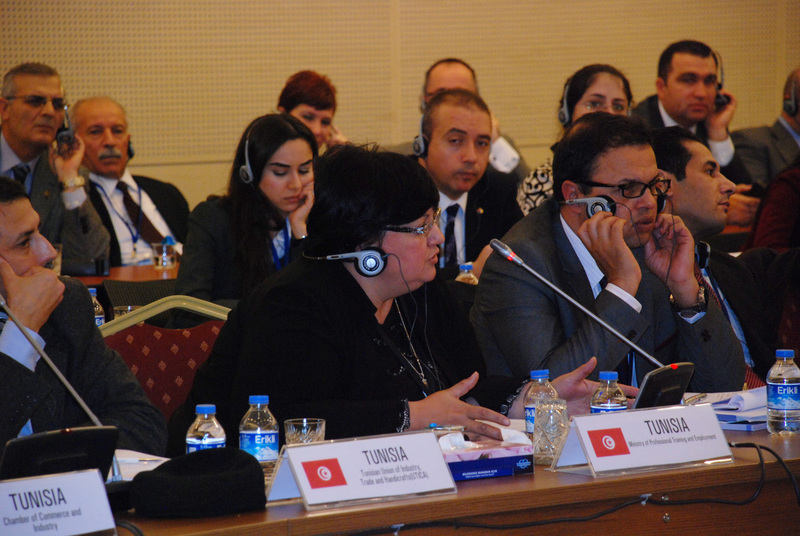 Then, Mr. Nurettin Özdebir, President, Ankara Course Administration and Ankara Chamber of Industry, explained the implementation mechanism of Skills 10 Project at local level. 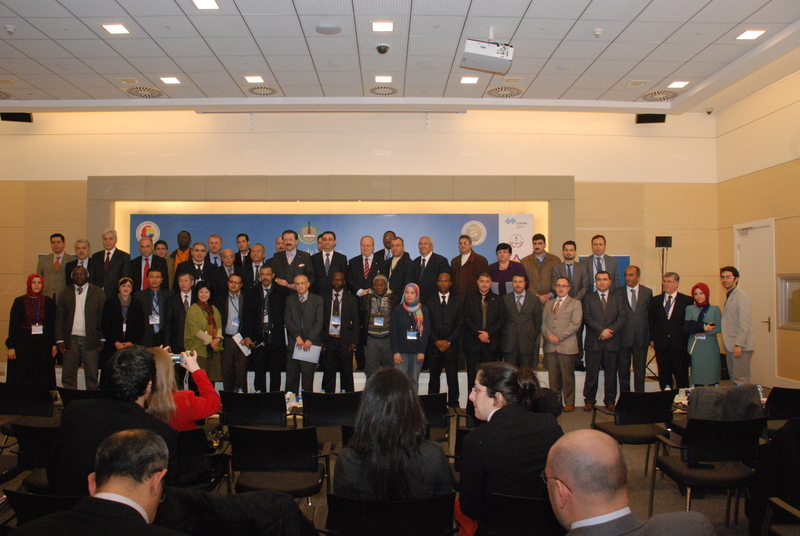 Moreover, the representatives of OIC Member Countries and related programmes made presentations and expressed their comments during the sessions regarding their in-country experiences in youth unemployment and their proposals for joint activities. In countries’ presentations, Mr. David Esseck, Head of Division, Department of the Promotion of Employment of the Ministry of Employment of Cameroon, mentioned economic and youth employment situation of his country and explained the development of a National Youth Employment Plan and Mr. Mohammed Dieng from the National Agency for Youth Employment of Senegal presented youth unemployment in Senegal as well as policies and measures that were taken. Dr. Amal El-Ghonimy, Ministry of Education of Egypt, explained the situation of employment of graduates of the productivity and vocational training department in Egypt. Mr. Nasser Faqih, Coordinator of UNDP Al – Fakhoora Programme, provided information of the economic empowerment programme and the Al-Fakhoora Scholarship, a joint partnership for youth empowerment in Palestine. 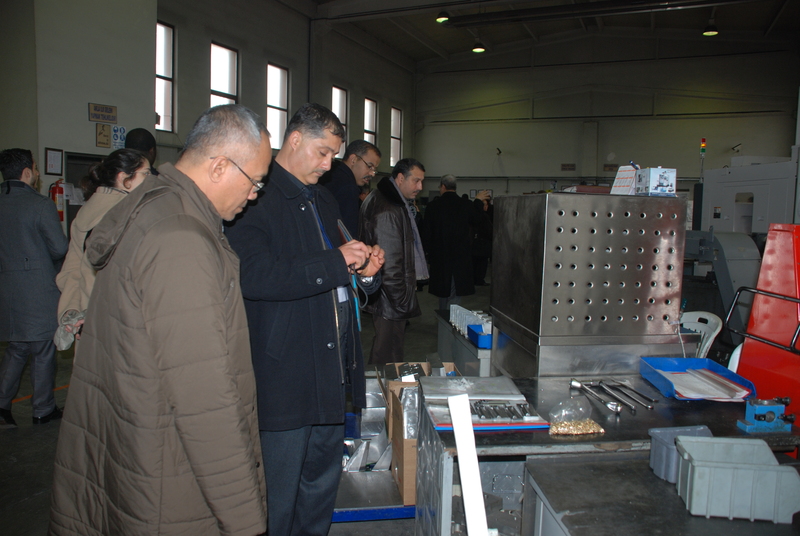 As a part of the programme, site visits to Vocational and Technical School and two factories in the Organized Industrial Zone of Ankara, Middle East Industry and Trade Centre (OSTİM) were organized in order to demonstrate in-class and on-the-job trainings. The beneficiaries of the programme had a chance to both see the work and products and also interact with both the students and the graduates of the project. 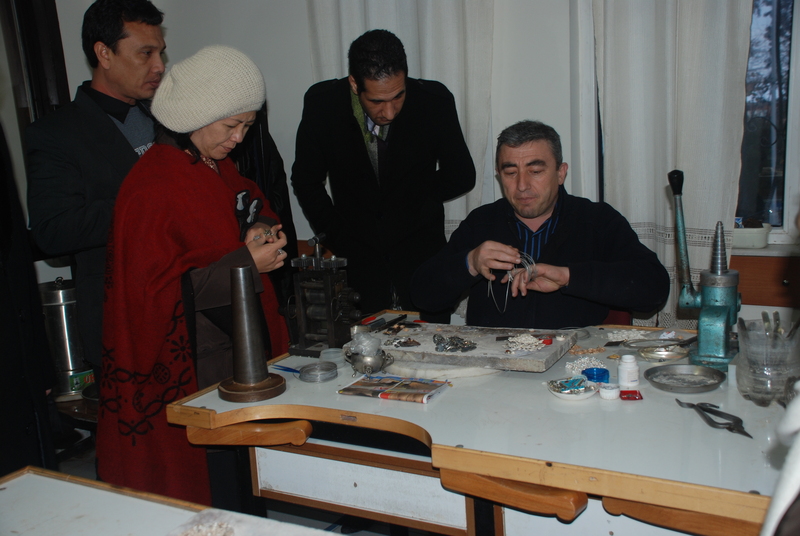 Another site visit was organized to Beypazarı in which the beneficiaries found an opportunity to see local courses for income generating projects especially for women in regard with silver and handcraft workshops. 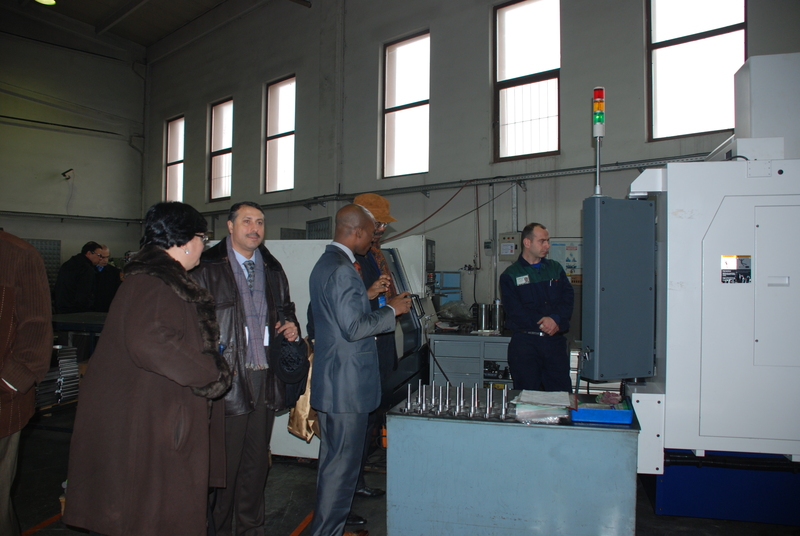 The participants expressed their satisfaction of the implemented activities and the fruitful workshop, site visits and field trips and moreover transmitted their countries’ situations, provided some solution peculiar to their countries and adopted a number of decisions and recommendations for the coming period and future collaborations in order to eradicate youth unemployment by skill development in the Member Countries. 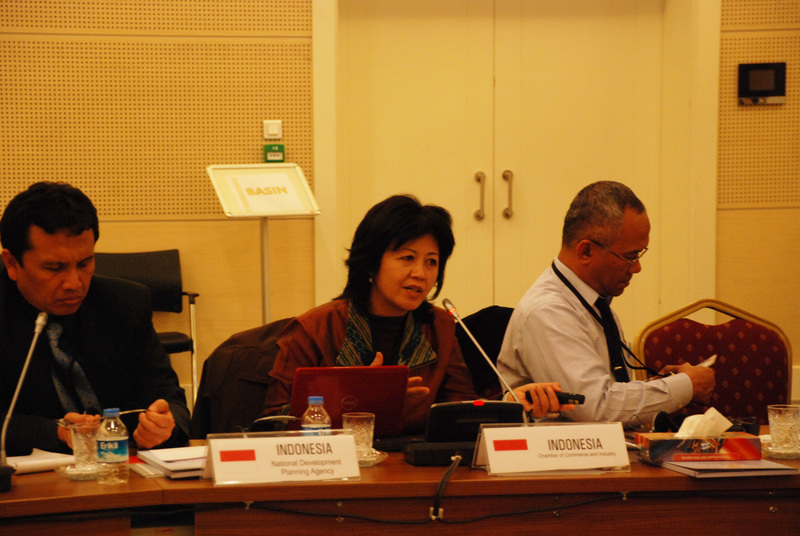 Draft recommendations were discussed and adopted in the last session of the study visit. 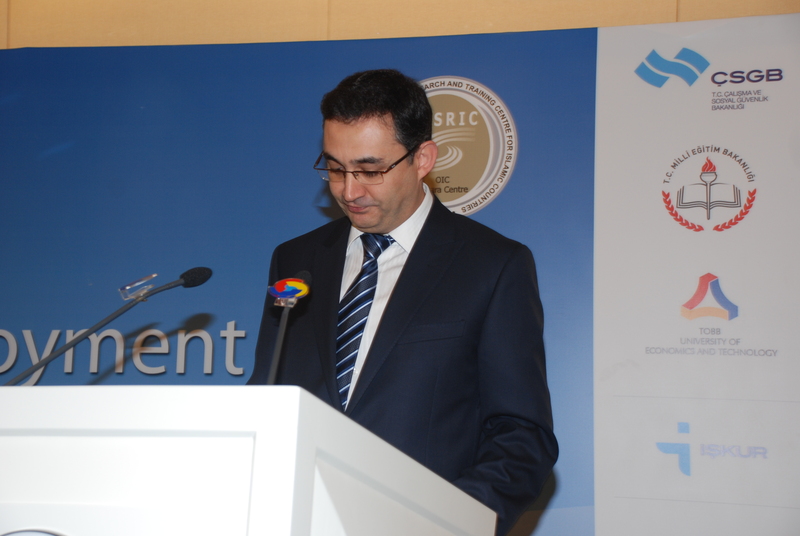 In the closing session, Mr. M. Rifat Hisarcıklıoğlu, President of TOBB and Dr. Savaş Alpay, Director General of SESRIC made their speeches. Dr. Alpay mentioned that the study visit will provide the eradication of the youth unemployment in OIC Member Countries and increase the collective welfare. He added that the Skills’ 10 Project will be an useful model for countries for transferring the knowledge of the good practices of Turkey. Dr. Alpay pointed out the young population, as our most valuable asset and claimed that this asset should be used well with giving importance to education. 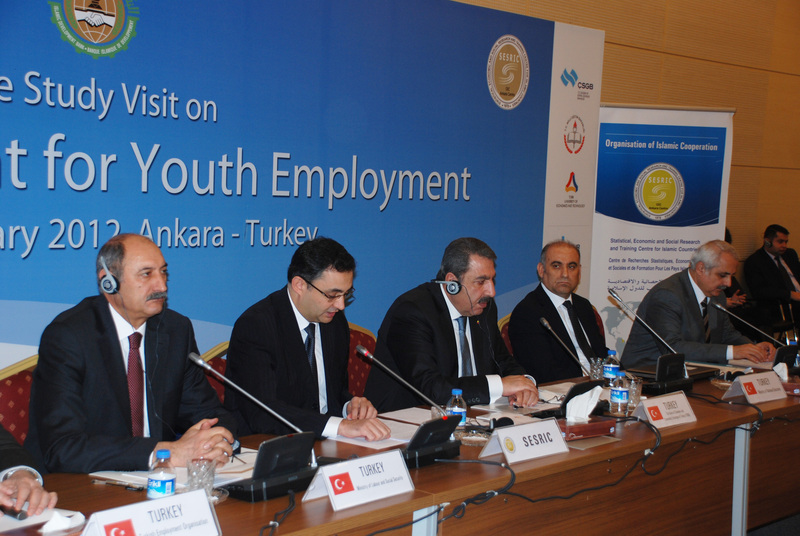 In his speech, Mr. Hisarcıklıoğlu addressed the Arab Spring and drew attention that the youth unemployment problem triggered the process. 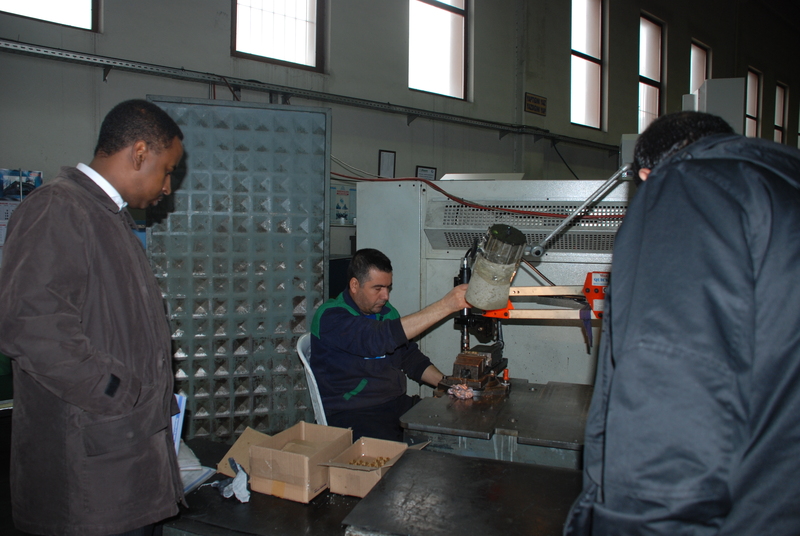 He mentioned TOBB’s initiative of the project of Skills’ 10 in order to create skilled labour and also highlighted Lady Khadija (RA), the first wife of Prophet Mohammad (PBUH), as a model for young entrepreneur women by underlining that there cannot be any wealth with using the half of our labour force.